Home / Blogging tips / How to / How To Submit Your Blogger Sitemap To Google, Bing & Yahoo. Today am going to show you how to submit your blog to Google, Bing and Yahoo. It a very vital part of blogging and it recommended for every search engines crawl, submitting our sitemap to search engines will improve the overall indexing and ranking process of our blog. It doesn’t matter whatever blogging platform you are using. Every blogger must submit there sitemap to search engines immediately after creating their blog. They are thousands of search engines out there. So it not pratical to find every search engine and that why we must submit our sitemap to them. As a matter of fact, Google is the king of the web. Also, the second most popular search engine is Bing. For this reason, if we submit sitemap to Google, Bing & Yahoo, we are good to go. What is an XML Sitemap and Why We Need This? Basically, the sitemap is a complete list of URLs of your blog. You can consider it as your website’s map. Actually, it is an XML formatted page containing all of your website’s accessible URLs for the search engine crawlers. Also, it notifies search engine crawlers about newly generated URLs, URLs priority, URLs modified or updated time etc of your blog. 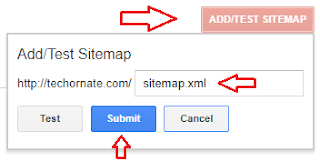 Click here to learn more about XML sitemap. Sitemaps are truly very important for your blog’s SEO. I am not telling that submitting a sitemap will improve search engine rank but it will improve the indexing process. After publishing a new blog post, at first, it needs to get indexed by google and after that, we can expect search engine rank. If we do not submit an XML sitemap, Google will take a long time to index our blog and blog posts. You may have seen another form of sitemap on many blogs. For this reason, I should make you clear about that. Actually, the HTML sitemap is generated for users, not for search engine crawlers. An HTML sitemap allows users to navigate a blog effectively. Therefore, many bloggers generate a static HTML sitemap page on their blog. How to Get an XML Sitemap for Blogger? To submit blogger sitemap to Google, Bing & Yahoo, we must know how to get an XML sitemap for blogger. Actually, there are two different way to do that. 1. Using the default blogger sitemap (Recommended). 2. Create a custom XML sitemap for blogger. Actually, the default blogger sitemap was eligible to contain only 20 URLs a few days ago. Therefore, every blogger used to create a custom XML sitemap (Method 2) for their blog. But nowadays blogger generates a standard XML sitemap with all latest functionalities. That’s why I am recommending “method 1” to get and submit blogger sitemap to Google, Bing & Yahoo. This default blogger sitemap is completely suitable for submitting to Google, Bing, and Yahoo. In fact, I will show you how to submit this blogger sitemap to search engines below. But before that, we should understand the features of this sitemap. How to Submit Blogger Sitemap to Google? 1. To submit blogger sitemap to google, first of all, login to Google Webmaster Tools account. 2. Click on the website you wish to add the sitemap. 3. Now go to the crawl > sitemaps section as shown below. 5. Finally, click on the submit button and refresh the page. You have successfully submitted blogger sitemap to google. 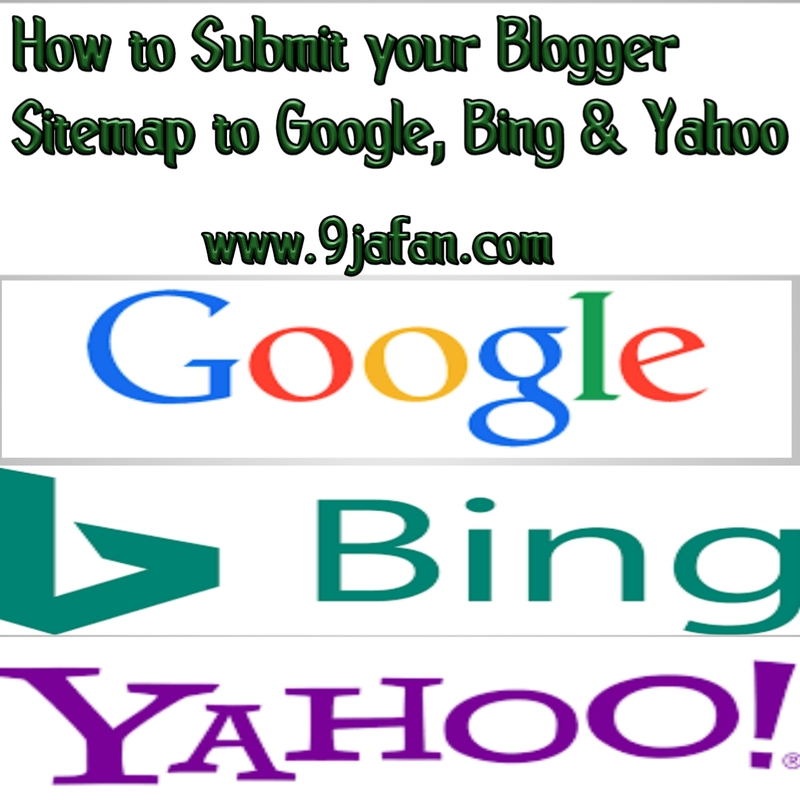 How to Submit Blogger Sitemap to Bing & Yahoo? 1. Visit Bing Webmaster Tools and click on the “ Sign in” link at the top right corner. Use one of your Microsoft accounts to sign in. If you don’t have any Microsoft account, configure creating a new one. 2. Select the website if you have more than one and click on it. Otherwise, go to the “Configure My Site” > “Sitemaps” from the left menu. 3. Now copy the complete sitemap URL of your blog and paste it into the text field as shown above. 4. Finally, click on the submit button and you are done. 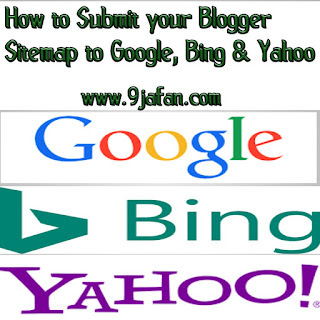 You have successfully submitted blogger sitemap to Bing & Yahoo. Here is the complete solution to submit blogger sitemap to Google, Bing & Yahoo. I hope you have successfully done the process without any issue. After submitting blogger sitemap, you will get a smooth and faster indexing by search engines than before. If you like this tutorial, don’t forget to comment, share and subscribe to get more update from 9jafan. thanks so much it help me.